NOTE: The Frigidaire WF1CB is no longer available and is now replaced by the Frigidaire WFCB.. 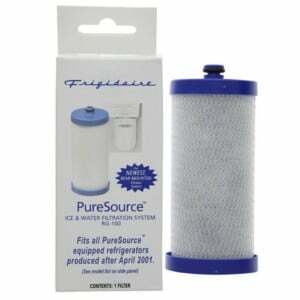 The Frigidaire WF1CB PureSource Water Filter - RG-100 is no longer available. The Frigidaire WFCB is the OEM compatible replacement. The WFCB fits all Puresource equipped refrigerators made after April 2001. 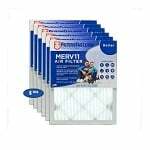 This Frigidaire refrigerator filter replaces part numbers WF1CB, RG-100, RG100, RF100, RF-100, RC-100, RC100, NGRG 2000, NGRG2000, 240394501, 240389102 and Kenmore 46-9910. 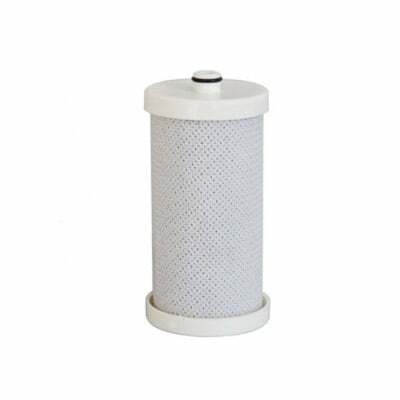 The WFCB replacement filter meets NSF/ANSI standard 42 for the reduction of 96.50% of Chlorine Class I and 98.30% of Particulates Class III, as well as cysts, turbidity, lead, herbicides, alachlor, atrazine, , and toxaphene. You should replace your Pure Source filter every six months or if your water has a bad taste or odor.